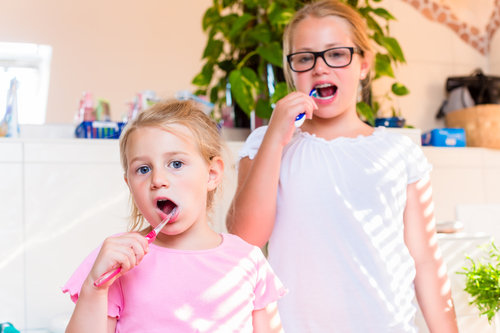 When your kids master a concept early on in their childhood, it tends to stick with them for years, which is why you might be focused on improving their daily oral hygiene habits. Here are five tips for teaching kids healthy dental habits, and why your dentist will appreciate your efforts. Learning how to brush and floss your teeth can take a great deal of manual dexterity, so it is helpful for kids to have older siblings or parents nearby who are ready to help. To teach your little one how to brush and floss like a pro, consider taking care of the task together in the morning and evening. When kids have the chance to meet with their dentist regularly, they can enjoy a cleaner smile and fewer problems, which makes dental care less scary. Talk with your dentist about how often you should be bringing your kids in, and never skip appointments. The foods your child eats directly impact their oral health, so always make eating healthy food convenient for your little ones. Keep freshly-cut celery and carrot sticks in plastic bags in the fridge, and encourage your child to drink plenty of unsweetened water to wash away food grime. You never know which learning style works best for your kid until you try a few, so mix up your oral hygiene lessons by doing things like downloading apps, reading books, and even singing songs about proper brushing and flossing. Teaching your child is one thing, but keeping them on the right dental care path is another challenge altogether. Follow up with your little one frequently to check their smiles for problems, and make sure to ask if they are experiencing any discomfort. Whether your little one is living with dental discomfort or they are simply due for a routine checkup, the team at Stadler Dental Care can help. As a family dentist, Stadler Dental Care works hard to get to know their patients and their families, making the experience more comfortable and kid-friendly. To book an appointment or to learn more about this Columbus, NE dental practice, visit them online or call (402) 564-4093.